I love this iPad app, & so do 933 (and counting) other backers on Kickstarter too. 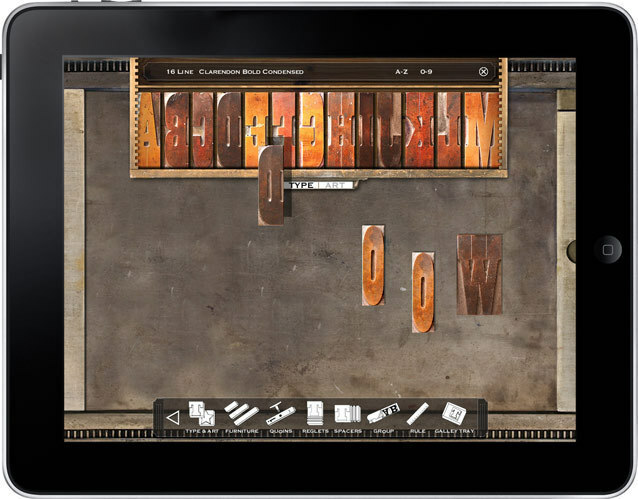 What's not to love, they're keeping the art of letterpress alive in the digital medium. It's already got more than enough pledges and good luck to John Bonadies and team with this gem of a design project.